Jennifer Eolin grew up in conservative Lancaster County, Pennsylvania. 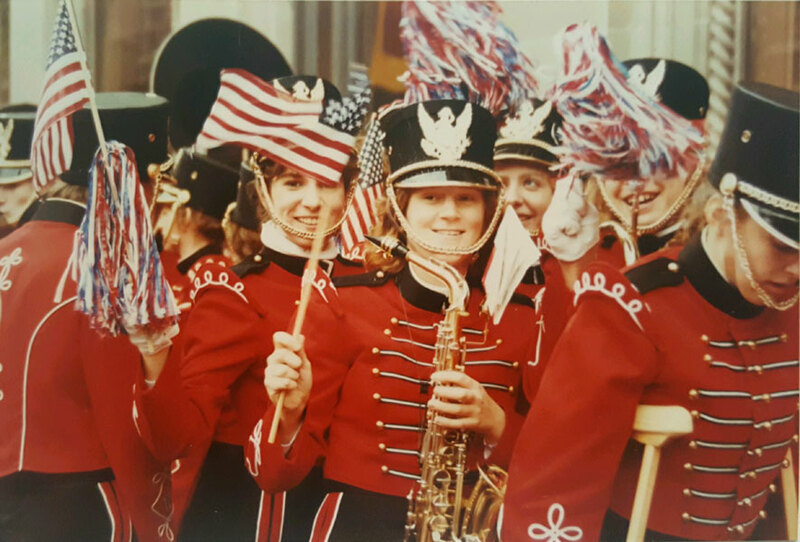 In 1988, she performed in a Bush/Quayle rally at her high school with her marching band. Despite growing up in primarily Republican surroundings, Jennifer became a fan of Hillary during her First Lady days in the White House. "I noticed Hillary wasn't a typical First Lady in that she didn't take on soft topics and do public appearances." Jennifer said. "Today, I find it interesting that Hillary gets flack for 'being raised Republican'. When you're a kid, you don't have a choice. Like Hillary, when I became an adult, I chose to be a Democrat." While Jennifer is passionate about human rights, and takes great pride in being a registered Democrat, she also wanted to become informed on the issues. "I saw Hillary fighting for universal health care around the time I was struggling to get health care coverage for myself. She was fighting for me, personally! At that point, I did more research on her and saw that she's been fighting for everyone for quite a long time. I was thrilled to have her in my life as a champion. I knew that I'd do whatever it takes to support her in return." Jennifer added, "It's become clear, especially in this election and the GOPs stance, that having a Commander in Chief who is compassionate as well as world savvy is critical. Hillary Rodham Clinton is the woman for this job!" Jennifer is an active member of Babes For Hillary in NYC having attended all three meet-up events. Photo by Kristen Blush. Enjoy this slide show of images that were taken by photographer, and also Jennifer's Mom, Dee Eolin, in 1988. Jennifer is photographed center (age 14) with U.S. flag, and was happy to point out the Democrat Dukakis parade goers, as well. Jul 18 The Babes Patch is Here!